Blondie and Brownie: Can I Get Some Dan Dan? When I arrived at Szechuan Gourmet a lunchtime a couple Fridays ago there was already a 20 minute wait for a table. Yipes. While I would have loved to have stayed and had a leisurely eat in lunch, I just don’t have that kind of time, so I opted for takeout and within about 10 minutes my Dan Dan Noodles were ready to go. The spicy pork topping was excellent and plentiful. Definitely of a good quality and it was nice that they didn’t skimp on the pork. I wonder how different this pork is from the pork they use in their Ma Po Tofu. But back to the soupy-ness. I have a pretty high tolerance for greasy food but dang...I was blotting my noodles. Big time blotting action. 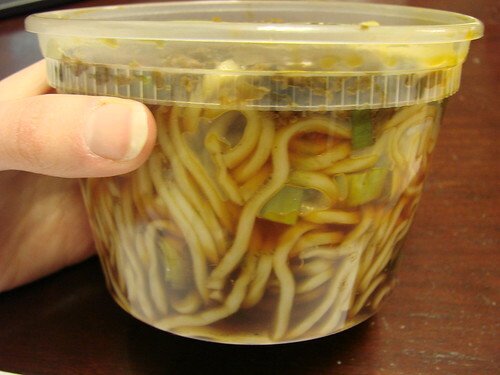 Dan Dan buffs: Am I wrong in thinking one should not have to blot their noodles? I’ve been known to get an order of Dan Dan Noodles for my entrée at Grand Sichuan on Canal Street (that's where the Dan Dans in the first photo are from), but with this version I can see why you’d have it as an appetizer; you have to work hard to finish a whole order. If you have the stomach for it, these Dan Dans are a good value at $4.50. As for me, the Dan Dan hunt continues. Can anyone recommend any other good Dan Dans in the city? 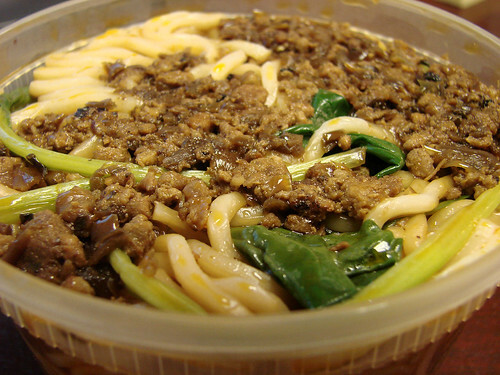 I've tried the noodles at Spicy Tasty, Grand Sichuan, and Famous Sichuan. The other Grand Sichuan locations may have slightly different renditions since John Zhang is no longer involved with the Canal St location. 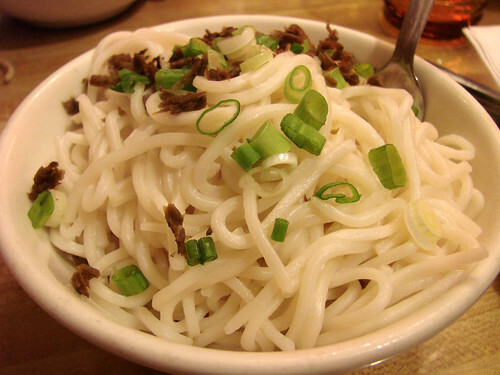 Have you tried Wu Liang Ye? Or any places in Flushing? Chengdu Heaven's are excellent but heavy on the numbing Sichuan peppercorns. Any other places in Flushing, I meant. grand sichuan on 24th and 9th; their dan dan noodles are far better than the canal location imo. Thanks for the info. I'm a huge Dan Dan Noodles fan - but, my favorite place is up in Framingham, MA. It's too far to go on a lunch hour from NYC. I'll definitely try the ones you liked. I love the Dan Dan Noodles!!! 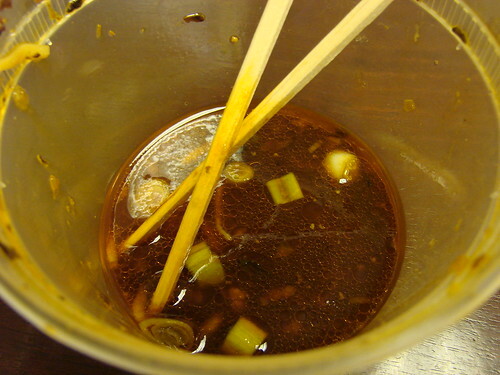 but i dun have it near... do you like the mapo tofu? it looks so delish!